In 1956, General Motors styling team moved from Detroit to a new design space in Warren, Michigan. The complex, originally designed by Eero Saarinen and Harley Earl, has become a legendary corporate masterpiece of planning and design. A large indoor viewing auditorium was constructed, allowing the designers the opportunity to view their projects in an open space regardless of weather. This 180-foot diameter domed space was indirectly lighted to provide a shadowless environment for the evaluation of form and finish of vehicles. The Commercial Design Award of Excellence is given for the restoration of General Motor’s Design Dome and Auditorium located on their corporate campus in Warren, Michigan. 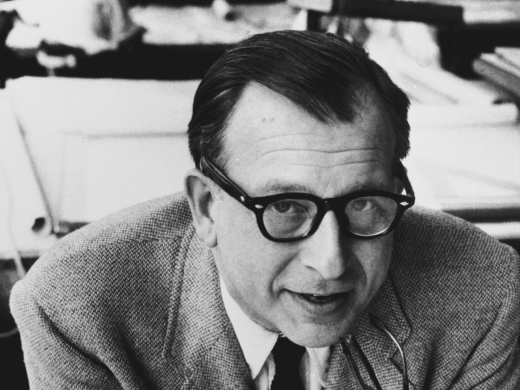 Designed by the world-renowned architect Eero Saarinen and Harley Earl in 1956, both Saarinen and Earl worked closely with the styling team and placed special attention on the spaces concerned with designing, prototyping, and evaluating new automobiles. The 180-foot diameter Dome has become an iconic piece of automotive design and one that organizations from around the world have prototyped for facilities of their own. General Motors initiated the renovation with the design team at SmithGroupJJR, which looked to enhance the Design Auditorium as an evaluation and presentation center for critiquing and displaying the next generation of automotive product design. The overall design intent was not just to modernize the facility but to do so in a manner consistent with the original detailing while implementing sustainable solutions to lower energy and maintenance costs.